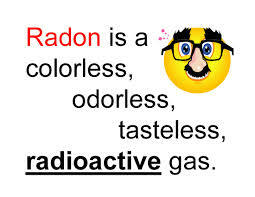 Radon is a transparent, unrecognizable naturally occurring gas, that originates from the breakdown of radioactive Uranium, created when the Earth was formed. Radon gas itself is not the concern, but in the home or building, it is the breakdown of the radioactive gas and its decay products that is the problem for us. So eliminating as much of the Radon gas as possible from entering the building reduces the dangers from the radioactive decay products that can damage lung tissue. Radon is a major danger to your health, because, as a gas, it easily sneaks into your home through any minute air space it can find. 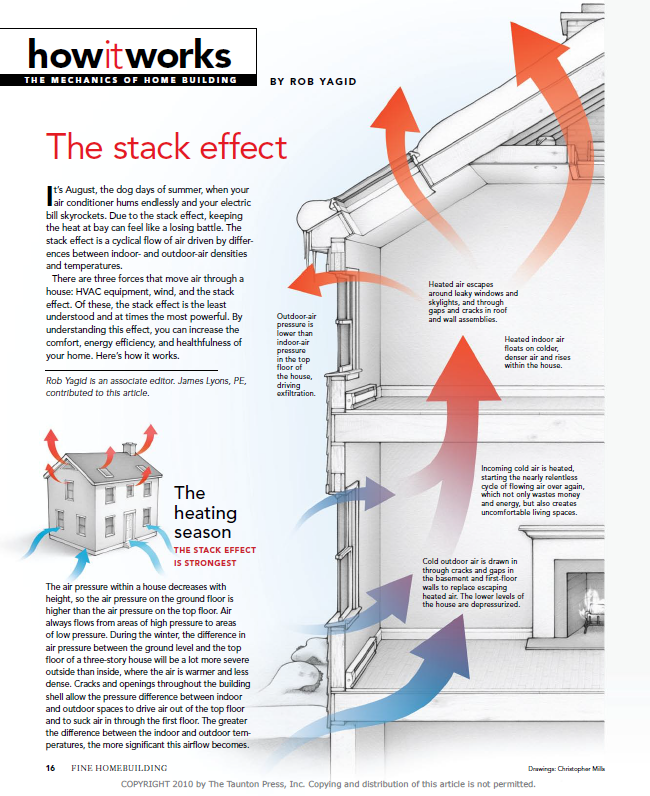 And with the stack effect of closed and conditioned living spaces, it tends to be pulled in from sub-surface soil and travel upwards into the home, through below ground walls and, basement, slab, and crawl space floors. Because Radon itself is also a radioactive element, it is unstable and decays every 3.8 days into the products that are damaging to live animals. 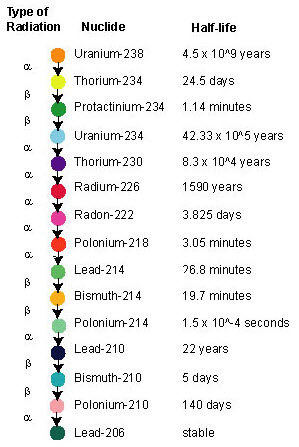 These decay products, as they are called, are Polonium, and the byproducts of the decay of Radon and Polonium, one of which is alpha ( α ) particles. Due to the short range of absorption and inability to penetrate the outer layers of skin, alpha ( α ) particles are not, in general, dangerous to life unless the source is ingested (through the drinking of well water) or inhaled, in which case they become extremely dangerous. 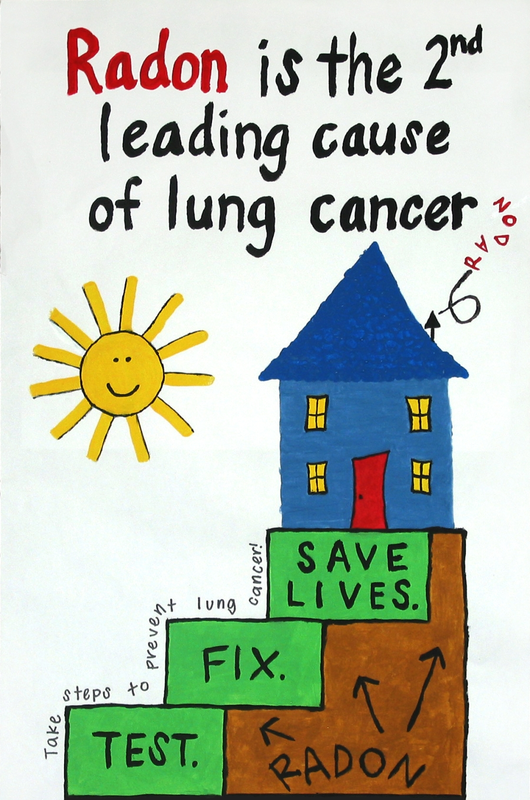 Radon has been proven through many studies over many years to be the leading cause of lung cancer in non-smokers. So the concern is the percent concentration of alpha particles flying around in the home that you may inhale. Many fly into objects such as walls, furniture, and drapes when a decay occurs, and they die there. If you are running a forced air heating or cooling system, depending on the density of the filter you have installed, many may be caught there as well. The U.S. EPA has estimated that 40-50% are airborne at any time, and are the danger. The remainder have found a final absorption source in another solid object, and are thus not an inhalation danger. 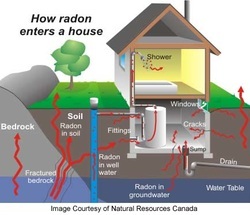 See the EPA guides linked below for more information on Radon. Any structure built on the ground, in the ground, or over the ground with an enclosed crawl space, is at risk for the influx of Radon gas into the enclosed structure. Homes in more rocky areas generally have a higher po﻿tential level of Radon. The U.S. EPA provides a map of the Radon potential in the U.S. You can view it here. 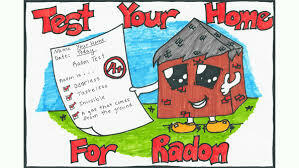 State and local Health Departments also provide more information on Radon in their localities. More information is linked below. Keeping Radon out of your home or building should start with a preliminary Radon test. A basic test takes from two to four days and costs around $175. when done by a certified Radon measurement analysis professional. Once you know the base level of Radon in the structure, you can evaluate what should be done to reduce the level of Radon in your home. The U.S. EPA and the Surgeon General, after years of scientific evaluation, have recommended no more than a 4.0 pCi/L level is acceptable in a lived-in structure. Homes that have been properly mitigated to stop Radon influx, in most cases have resulted in a level of 2.0 pCi/L or lower. Since the average outdoor levels of Radon are 0.4 pCi/L, any level above this amount is still considered an inhalation danger and should be considered for sources of Radon reduction. MHBI does not recommend any specific mitigation method, nor does it recommend any specific Radon mitigation company. More general Radon mitigation information can be found through some of the Resource Links below, from the EPA, or from an Internet search. What MHBI Radon Testing Can Do for You? The first thing to do if you do not know what the Radon level is in your home or commercial or public building is to hire a certified Radon measurement and analysis professional. MHBI provides a standard short-term (2-4 day) test, typically used for home sales or purchases, using radiation absorbing test equipment. Because we are certified on this equipment, we can provide near instantaneous analysis once the test is complete. For consumers in Virginia who would like to test their own home, the Virginia Department of Health's Radon Program is offering in 2018 (while supplies last), Radon test kits for a $3. shipping fee, so if interested click here. 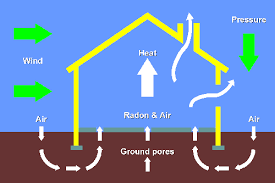 Radon concentrations in a home or building vary throughout the year based on multiple factors including how tightly a home is sealed, the heating versus cooling season (winter is higher), humidity, sunlight, tree cover, wind, rain, and groundwater. 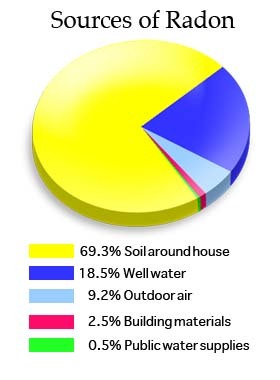 Occupant behavior also affects Radon levels with the seasonal opening and closing of windows. Because of this, a short-term Radon test in one season or point in time may be completely different from one in another season or point in time. Further, a standard short-term test is an average of the Radon amount for the period tested (2-4 days). Therefore, if a test result is questionable, or you would like a more time-precise measurement of the Radon level over a 90 day to one-year period, MHBI can provide a long-term test using different equipment that can provide daily measurements. We recommend a long term (91-365 day) test for the satisfaction of knowing the changing Radon level over the longer period of seasonal change and occupant, equipment, and structural behavior. MHBI has been trained by CERTI.us, successfully passed the NRPP national Radon measurement exam, and has been certified on the RadElec e-perm Radon test equipment. MHBI can provide you with the satisfaction of knowing a basic measure of the Radon level in your home or building, so you can then determine if structural changes or mitigation services are necessary, and if so, how time critical the mitigation processes may need to be. While you can purchase a home Radon test kit from your local hardware store or online, which can provide you with "an idea" of the radon level in that portion of the structure where you place the test kit for that short period of time, these kits generally do not have the accuracy of the professional testing equipment. Most retail test kits are based on the charcoal absorption process and are vulnerable to the environmental conditions while the charcoal is open to the air, and the time lag between the test and analysis of the specimen. MHBI does not recommend any specific mitigation method, nor does it recommend any specific Radon mitigation company. More general Radon mitigation information can be found through some of the Resource Links below. Certifying organizations and state licensing require that pre-mitigation testing, Radon mitigation, and subsequent post-mitigation testing not be performed by the same company. As an adult, I have owned five homes over the years and never heard about Radon, nor had a Radon test performed by myself or by the buyer of the homes I have bought or sold. I only learned about Radon through my training to become a licensed Home Inspector and certified Radon measurement specialist. With what I know now, I will never live anywhere without knowing what the Radon level is in that structure. For no more than $150. for a basic test, it is one of the most valuable and worthwhile medical checks one can do to maintain the health of occupants and protect against unnecessary lung cancer risks. If you want a preliminary or basic check, you can get a personal Radon test kit at your local hardware store or online which will require you to send the sample in by mail for testing and analysis. Watch this Cool Video on the History of Radon Discovery! This video on Radon, is one of many on the Elements of the Periodic Table from the University of Nottingham. Product of the creative and quirky mind of Sir Martyn Poliakoff, a research professor at the University of Nottingham and a pioneer in the field of green chemistry, this video shows visually the actual breakdown of Radon gas into its lower, but still radioactive elements, Polonium 218 and 214. Enjoy! Here is a comprehensive history of Radon gas discovery and evaluation over the last century and the near current (2012) state of the science in building design, construction and mitigation (from Prof. Dr. Luis Poncela at the University of Cantabria). Right click here to open the video in a new window.